The estate takes the name of Suduiraut in 1580, following the marriage of Nicole d'Allard with Léonard de Suduiraut. The castle, looted and burned during the Fronde, was rebuilt in the seventeenth century, and renamed Cru du Roy in the late eighteenth century, following its recovery by a nephew of the Suduiraut family, Jean Joseph Duroy, Baron de Noaillan. The house is adorned with a cartouche where the arms of Suduiraut and Duroy, at the origin of the current coat of arms of Château Suduiraut, meet. 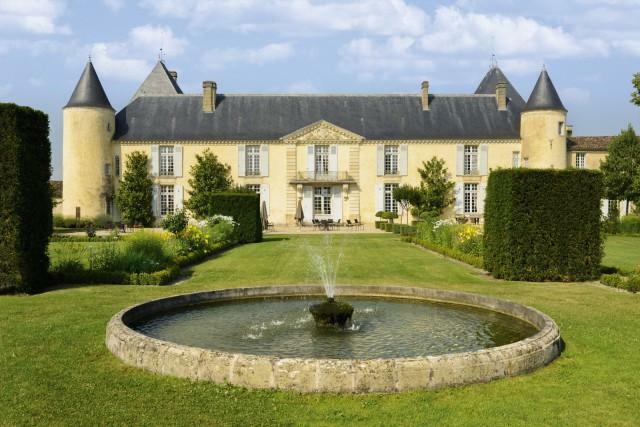 Beautiful French gardens, designed by Le Nôtre, famous gardener of King Louis XIV, come to decorate the property. On April 18, 1855, the estate is classified Premier Cru when ranking the wines of the Gironde. It was taken over in 1992 by AXA Millésimes, whose mission is to preserve and perpetuate the great know-how of the history and culture of wine with one objective: to allow great wines, from vineyards with glorious past, to express their full potential.